A. The relationship between a human being and the mysteries of inspiration. When people hear that I’m a blogger, they often ask how I come up with ideas for my posts. That’s when I admit that finding ideas is the easy part. The hard part is finding the time – and the self-discipline – to develop those ideas into something worthwhile. Not very illuminating, I know, but I understand why they ask. I too am fascinated by the ways that writers, musicians and artists find inspiration, which is why I was so eager to read Elizabeth Gilbert’s Big Magic: Creative Living Beyond Fear. Well, there’s also the fact that I’ve had a bit of a girl crush on Gilbert ever since Eat, Pray, Love. Alas, my dream of becoming friends with her will probably never come true, but at least I’ve had a chance to learn more about her intriguing philosophy on ideas, inspiration and living the creative life. Big Magic centers on Gilbert’s beguiling premise that ideas are independent life forms, each with its own consciousness and will. “I believe that our planet is inhabited not only by animals and plants and bacteria and viruses, but also by ideas. Ideas are a disembodied, energetic life-form,” she explains. This is what you might call a flash of inspiration. An “Aha!” moment. Perhaps you’ve been lucky enough to have had one. If so, you know that what happens next is up to you. You can ignore the idea or you can welcome it in. That’s the aforementioned easy part. But once you let an idea in, you must work wholeheartedly to bring it into being or it will move on to a more willing host, Gilbert says. That, as you may have guessed, is the hard part. Creativity involves courage, enchantment, permission, persistence and trust, “and those elements are universally accessible,” Gilbert explains. “Which does not mean that creative living is always easy; it merely means that creative living is always possible.” Gilbert is truly at her best as our guide in this brave new world. Her breezy, down-to-earth style makes Big Magic feel more like a good chat with a knowledgeable pal rather than a highly-structured self-help book, and her decades of writing experience lend credibility to her point of view, even when it seems unconventional. She is also emphatic about the importance of committed, diligent work when it comes to creativity. Gilbert’s section on courage reminded me of Sue Monk Kidd’s inspiration for The Secret Life of Bees, one of my all-time favorite books. When Kidd began to contemplate writing a novel after years of authoring nonfiction, she recalled the bees that lived in the wall of her childhood home. The image of a young girl lying awake at night with bees buzzing around her room stayed with Kidd as she charted the course of the story and worked through her doubts about attempting a new literary form. Now, most of us will never become bestselling authors or Grammy winners or MacArthur fellows (or even friends with Elizabeth Gilbert), but there is still much to be gained by living a life driven by curiosity, courage and creativity, and it all starts with that flash of inspiration. Yep, you heard that right. Out of ALL the things that moms do, Geico chose to highlight calling at the worst time for a national ad campaign. Calling at the worst time?!? Was that really the best you could do, Geico? “It’s What You Do” has spawned a memorable assortment of absurdly funny commercials since its launch in 2014. “If You’re a Golf Commentator, You Whisper,” even when a kraken emerges from a water hazard. “If You’re the Band Europe, You Love a Final Countdown,” even if it’s just the timer on the office microwave. “If You’re Salt-n-Pepa, You Tell People to Push It,” whether they’re trying to open a door, practice Lamaze, or mow the lawn. And “If You’re In a Horror Movie, You Make Bad Choices,” like hiding behind the chainsaws in the barn. If all your friends jumped off a bridge, would you do it too? Speaking of bad choices, I can’t help thinking about all the different ways Geico could have gone with “If You’re a Mom.” How about “If you’re a mom, you make your kids eat vegetables.” Or “If you’re a mom, you worry that your kids are cold.” Or even “If you’re a mom, you lick your thumb and use it to rub dirt off your kid’s face.” Besides having obvious comedic potential, these offer the added benefit of being reasonably accurate and not entirely disrespectful. Don’t use that tone with me, mister. I’d like to point out that moms don’t have any kind of monopoly on poorly-timed phone calls. In fact, I’m willing to bet that moms find themselves on the receiving end of inopportune calls more often than not. Take the secret agent in this ad. If he’s anything like my kids, he’s been calling his mom at the most inconvenient times since the day he was born. He’s undoubtedly called out from his crib just as his mom drifted off to sleep. He’s probably called from the school nurse’s office just as his mom stepped into an important meeting. He’s almost certainly called to complain about his sister while his mom and dad were out on a rare date night. He may have even called from a sleepover party to say that he was ready to come home. At 3 a.m. If you have a mom, you’ve done this too. We all have. I once called my mom when a friend’s car broke down on a college road trip, and she had to drive over an hour to rescue us. I called my mom in total postpartum meltdown the night we brought our first baby home, and she immediately threw a few things in a suitcase and headed over. A few years back, I called my mom to complain that I had no time to decorate for Christmas, and she was at my door within hours toting bags of garland and ribbon. Now THAT’S what moms do. Rarely has a book been as highly anticipated as Harper Lee’s Go Set a Watchman. The discovery of a long-lost manuscript by the author of the beloved classic To Kill a Mockingbird – and the controversy surrounding its publication – made for record-setting preorder sales and non-stop buzz. But after Watchman’s July release, the hubbub dwindled to a murmur, as though readers couldn’t quite figure out what to make of it. That was how Lee described the town of Maycomb, Alabama in the first chapter of Watchman, but her words could apply equally well to the book itself – which is not to say that there is not much to be gained in its pages. 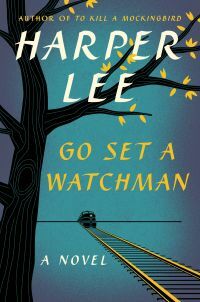 On the contrary, if readers could scale back their Mockingbird-sized expectations, they would find that Watchman offers plenty to discover and contemplate, both about the fictional Jean Louise Finch and the real-life Harper Lee. According to publisher HarperCollins, Watchman was actually the forerunner of Mockingbird – the original draft that Lee submitted to her editor in the mid-1950’s. In it, a grown-up Scout Finch, now known as Jean Louise, travels from New York to Maycomb for a visit. Readers will recognize many familiar faces, including Atticus, Aunt Alexandra and Uncle Jack. The story unfolds over a few brief days, as Jean Louise is forced to reexamine deeply-held feelings about her family and her Southern heritage, in light of desegregation and the civil rights movement. The title of the novel comes from the Old Testament book of Isaiah, in which the prophet is told to send a watchman to observe an impending attack on the city of Babylon. Lee carries the concept through the book on two levels: Jean Louise is the watchman sent to observe the town of Maycomb, as it braces for significant social change, and she is also the watchman of her own conscience, as she struggles to understand her loyalties and convictions. This personal conflict seemed to garner the most attention after Watchman’s publication. Readers were every bit as shocked as Jean Louise to discover that Atticus is racist. Perhaps this shouldn’t have been such a big surprise, as he was born and raised in the Jim Crow South. But until now, he was only seen through Scout’s worshipful eyes, an idealized man and father. “…a man who has lived by truth – and you have believed in what he has lived – he does not leave you merely wary when he fails you, he leaves you with nothing,” Jean Louise laments, after Atticus falls from his pedestal. This realization is the beginning of Jean Louise’s long-overdue coming of age. She must accept that Atticus is merely human and discover her own identity. A worthy goal, to be sure, but the lengthy inner monologues and contentious interactions that Lee uses to achieve it are tough going for readers. Perhaps that’s why Lee’s editor requested a rewrite focusing on Jean Louise’s childhood memories from the 1930’s. Many of these memories are drawn from Lee’s own childhood in Alabama as a tomboy with a highly respected attorney father. I’d like to think that Watchman also provides more clues about the reclusive author as an adult. Like Jean Louise, Lee moved to New York as a young woman, but always maintained close ties with family and friends in Alabama. Perhaps the inner struggle depicted in Watchman mirrors Lee’s own efforts to make sense of her feelings as she traveled between South and North, between childhood and adulthood, and between past and present. Watchman gives us a sense of learning the “rest of the story” of Mockingbird, and I have to wonder if one of the reasons that Lee never wrote a follow-on book was because she foresaw the outcry that would result. Her characters had become cultural icons and she may have felt constrained by a responsibility to preserve their personas. “Hell is eternal apartness. What had she done that she must spend the rest of her years reaching out with yearning for them, making secret trips to long ago, making no journey to the present?” Jean Louise asks, realizing that the impossibly virtuous characters of her childhood now exist only in her memories. I have a feeling that Mockingbird fans are asking the same thing right about now. Watchman certainly wasn’t what anyone expected, but I think it’s still a gem. It’s unrefined and a little rough around the edges, but still glimmers with the perceptive eye, keen ear, unbridled curiosity and prodigious intellect that made To Kill a Mockingbird shine. When it comes to grocery shopping, there’s absolutely no limit to the things I can forget. Every week, I start with the best of intentions – detailed list in hand, reusable bags at the ready – but as soon as I pass through the automatic doors, all that planning drifts away like steam off a rotisserie chicken. I don’t know if I’m truly absentminded or just prone to distraction, but one thing is certain – my brain checks out long before I reach the register. Over the years, I’ve forgotten to buy countless grocery items that were clearly written on my list. I’ve also bought plenty of duplicates of things that I forgot I already had at home. I’ve left several umbrellas in the bottom of my shopping cart. I’ve left bagged groceries at the register. Once, I even left my purse in the cart corral in the parking lot. A few weeks ago, I forgot about my deli order until I was halfway through the checkout line and had to sprint all the way across the store to retrieve it. “It happens all the time, ma’am,” the clerk assured me. I wish I could believe that. I also wish I could figure out what’s behind these alarming episodes of grocery amnesia. It’s the kind of thing that I would love to blame on Mommy Brain, but since my baby is entering fourth grade, I should probably start looking for another culprit. Could a refrigerant leak in the frozen foods section make me feel woozy enough to forget one item from a grocery list that’s only three items long? 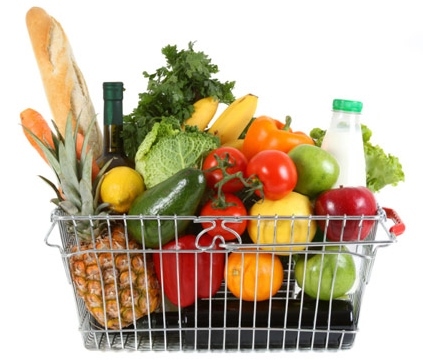 Could the intense challenge of navigating around end-aisle displays and stop-and-go shoppers cause me to buy everything I need for my chicken dinner except the chicken? Could the overwhelming array of choices in every product category account for my shocking inability to remember which kind of granola bars/toaster pastries/fruit snacks to buy? Or is it just that a routine weekly activity, accompanied by a bland, lyric-free soundtrack, practically begs the mind to wander? When I pass right by the Goldfish crackers, chances are I’m thinking about a funny episode of a TV show instead of the nearly empty box in my pantry. When I reach for the watermelon Italian ice, my mind is probably on a new book I’m reading instead of the fact that no one likes that flavor. And when I somehow come home with hot dog buns – but, alas, no hot dogs – I’m undoubtedly focusing on an idea for a writing project instead of lunch. It’s a special brand of escapism – a store brand, if you will – that seems harmless at first, but can have serious consequences. In the beginning, it’s a minor inconvenience. Then it becomes an increasingly maddening frustration. If left unchecked, it can rise to the level of an actual crime. Trust me – I know the pattern all too well. On a recent outing at the grocery store near my house, I rolled into the self-checkout area and spotted a friend in the next lane. We started talking about vacation plans as I scanned and bagged my groceries. I loaded everything in my cart, and we continued talking as we walked together out to the parking lot. That’s when a store employee came running outside, shouting, “Ma’am? MA’AM?! ?” Was she talking to me? Apparently she was. My friend and I stopped and turned around. “Were you just in the self-checkout?” the clerk asked breathlessly. “Yes,” I replied, wondering what I had left behind this time. “I think you forgot to pay,” she announced. The only reason I’m not in jail right now is that it was obvious that I was way more into running my mouth than running off with my groceries. (Also, I had already scanned my customer loyalty card and positively identified myself.) How humiliating! I had no choice but to sheepishly follow the clerk back into the store and pay for my things. She did NOT assure me that it happens all the time. I’d say a radical change in my shopping state of mind is clearly indicated. No longer can I allow mundanity and Muzak to lull my brain into la-la land. I need to focus and concentrate on the task at hand if I have any hope of saving myself from constant aggravation, not to mention a criminal record. I’m going to have to do everything I can to stop forgetting things at the grocery store. I just wonder how long it will take that clerk to forget about ME. Father’s Day is the perfect time to highlight two noteworthy books featuring particularly intrepid dads. 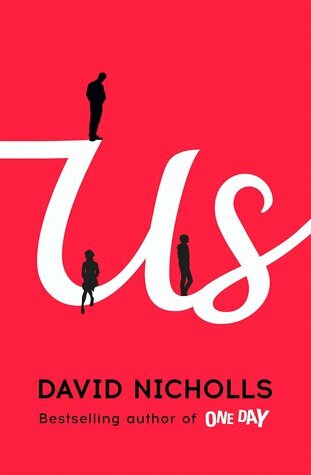 The Unlikely Pilgrimage of Harold Fry by Rachel Joyce and Us by David Nicholls tell the stories of two men who travel well outside their comfort zones to discover the truth about themselves, right past wrongs and attempt to save their families. Us begins with a similarly disturbing announcement, when Douglas Petersen’s wife, Connie, awakens him in the middle of the night to confess that she is thinking of leaving him. The news comes shortly before Douglas, a staid biochemist, and Connie, a broad-minded artist and museum administrator, are set to embark on a Grand Tour of Europe with their university-bound son, Albie. Stunned and unable to imagine life without Connie, Douglas seizes upon this ambitious family vacation as his last opportunity to save his marriage. Unfortunately, his checklist for a successful trip – including items like “Be fun” and “Try to relax” and “Avoid conflict with Albie” – does not bode well. As Harold and Douglas leave their normal routines behind, they are able to reflect on the events that have brought them to this point. These reminiscences gradually fill in the rough sketches of their lives that are first presented. Both were shaped by demanding fathers and have difficult relationships with their sons. Both have endured tragedies and harbor untold regrets. Both are now desperate to make things right. Harold has spent a lifetime keeping people at a polite distance, but his journey brings him into direct and unavoidable contact with countless strangers. His acquaintances are certainly unique and in some cases downright strange, but by accepting their vagaries, he just might be able to forgive his own shortcomings. 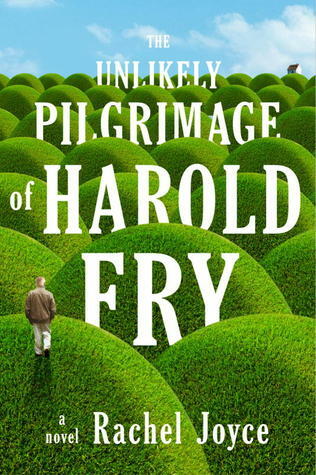 The Unlikely Pilgrimage of Harold Fry is an absolutely charming story that proves to be much deeper and more meaningful than expected, and nature enthusiasts will surely savor Joyce’s lovely descriptions of the English countryside in springtime. Meanwhile, Douglas is convinced that he has done everything he can to be a good husband and father, but his recollections show that his efforts have often had the opposite effect. He struggles to understand how his family – and their Grand Tour – could have gone so far off course and wonders if he can rescue either one. Us is full of razor-sharp wit and clever observations, but ultimately contains more heart and sincerity than first seemed possible. Art and travel lovers will certainly appreciate Nicholls’ masterful showcase of the great museums of Europe. Neither Harold nor Douglas is quite the same at the end of his journey as he was at the beginning. I hope that readers feel similarly affected when they finish these two tales of dauntless dads. Happy Father’s Day! Once in a while, a group of ordinary individuals comes together and achieves something extraordinary. It’s a phenomenon that might appear magical, but certainly doesn’t happen by chance. It takes enormous resolve and unwavering trust to create a team that is more than the sum of its parts. 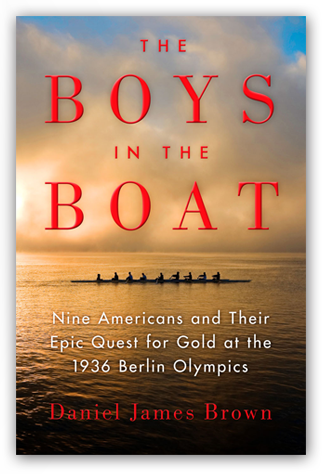 In The Boys in the Boat, Daniel James Brown tells the story of one such team – nine young men from the University of Washington who rowed against all odds to win gold in the 1936 Berlin Olympics. Do you remember the Dream Team from the 1992 Olympics? It was the first time the U.S. men’s Olympic basketball team included professional players, and its roster was like a Who’s Who of National Basketball Association superstars. Many considered it to be the greatest sports team ever assembled. By those standards, the men’s crew team representing the U.S. in 1936 wasn’t exactly a Dream Team. It was comprised of an underfunded group of working class boys, most of whom had never even held an oar before attending college. They possessed only strong backs, long limbs and an intense desire to succeed – none more so than Joe Rantz, whose experience provides the foundation for this remarkable story. Joe endured a childhood of grinding poverty and appalling neglect. He tried out for the Husky crew team mainly to qualify for a part-time job on campus, but instead found a place where he truly belonged, amidst a cast of memorable real-life characters: Freshman Coach Tom Bolles, with his battered lucky fedora; kindhearted crewmate Shorty Hunt; wily coxswain Bobby Moch; notoriously taciturn Head Coach Al Ulbrickson. But the most influential presence of all was George Pocock, the British expat who handcrafted racing shells in a workshop over the boathouse. An expert boatbuilder and oarsman, Pocock was a keen observer of character and a wellspring of wisdom and understanding. Brown’s astonishingly detailed research and engaging descriptions quickly immerse readers in the sport of rowing and the world of the 1930’s. In fact, it would be difficult to fully appreciate the magnitude of the Huskies’ achievement without this richly illustrated backdrop. We get to know Joe and his teammates as they rise from the utter desperation of the Great Depression. We follow them as they challenge the negative perceptions held by their elite, East Coast competitors. And we wait with bated breath on the shores of the Langer See as they win the gold medal, despite Hitler’s meticulous designs to make the Olympics a showcase of Nazi preeminence. Their victory exposed the futility of Hitler’s efforts and demonstrated something that George Pocock knew all along – that true unity can only be achieved by mutual trust, not by force. An experience that, thanks to Brown, readers are fortunate enough to share as well. 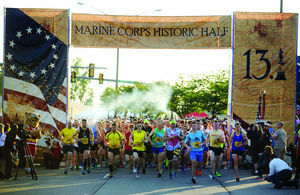 Last Sunday, I hit the pavement along with nearly 8,000 other runners for the 8th Annual Marine Corps Historic Half Marathon in Fredericksburg, Virginia. The day was unseasonably warm and humid, which set the stage for a slow, sweaty slog to the finish line, but didn’t dampen my enthusiasm a bit. I love race day. Not because I have any chance of winning – far from it! It’s because race day offers a rare combination of exhilaration, affirmation and positive energy that seems hard to find in our increasingly negative world. On race day, most runners are competing only against themselves, not against each other, so there’s always a sense of camaraderie along the course. Most spectators are there to cheer on a friend or family member, but that doesn’t stop them from urging on every other runner who happens to pass. They’re more than willing to offer complete strangers high fives, showers from their garden hoses and enthusiastic cowbell accompaniment. They’ll relentlessly clap, wave signs and shout “Way to go!” and “Keep it up!” and “You got this!” for as long as it takes to ensure that every runner keeps moving toward the finish line. This was epitomized in the 2012 Marine Corps Marathon in Washington, D.C., where I actually saw a woman holding a sign that proclaimed, “Hey total stranger – I’m so proud of you!” Another memorable sign from Sunday’s race said, “My awesome ex-husband and his wife are running today!” – quite possibly the most extreme example of goodwill I’ve ever witnessed. This consideration stands in stark contrast to the rest of life, where kind words can be few and far between. Outside mutually supportive zones like race day, celebrities have Twitter feuds, politicians exchange personal attacks and sitcom kids are disturbingly snarky toward their parents. An entire industry has formed around ridiculing people on reality TV. Even average citizens are subjected to cyberbullying, fat shaming and shade throwing, and the comments that cut the deepest seem to go viral the fastest. I know it’s a long shot, but I feel certain that a little encouragement would make it a lot easier to keep going in life, just as it does on the race course. Surely the same positive energy that propelled runners up Hospital Hill on Sunday could help conquer other kinds of obstacles as well. While we may not come across thousands of runners every day, we undoubtedly meet plenty of people who could really use a boost. The key is to recognize the opportunities. So keep your eyes open. Think positive. And don’t be afraid to use a cowbell if you have to.